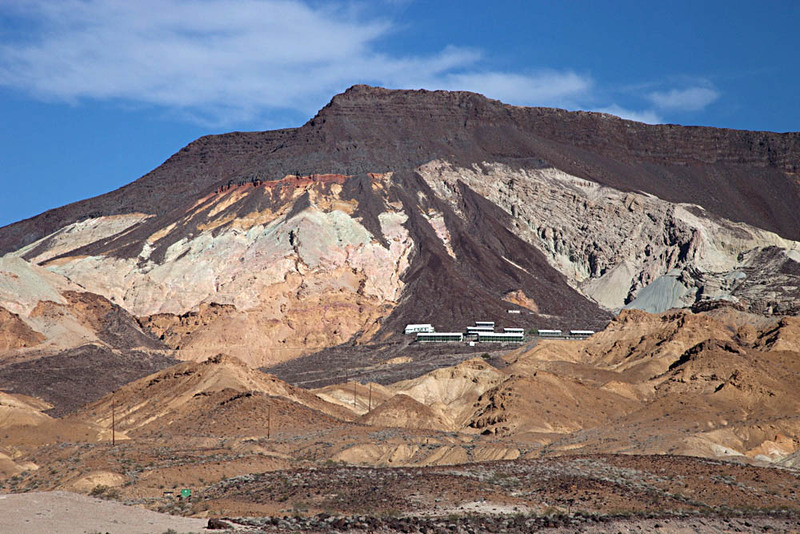 Of the many geologic events that shaped the western United States since the beginning of the Paleozoic Era, five really stand out. 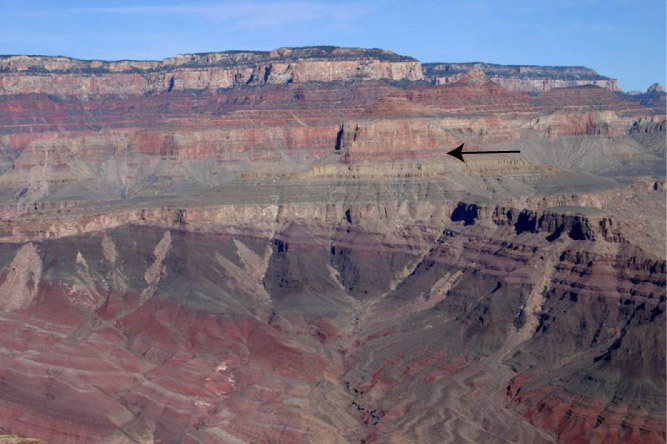 In approximate chronological order, these events include the accumulation of tens of thousands of feet of sedimentary rock on a passive margin, periods of compressional mountain building that folded and faulted those rocks during much of the Mesozoic–likely driven by the accretion of terranes, intrusion of subduction-related granitic rock (such as the Sierra Nevada) during the Jurassic and Cretaceous, volcanic activity during the late Cenozoic, and mountain-building by crustal extension during the late Cenozoic and continuing today. 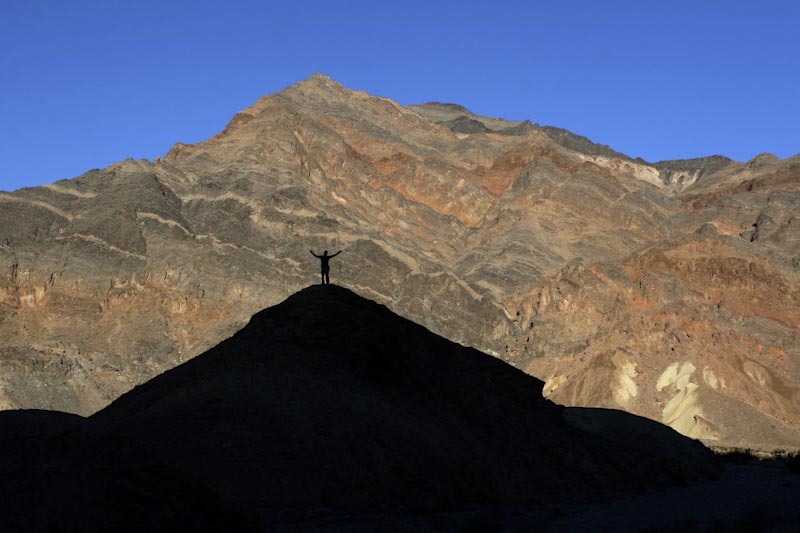 This photo on the western edge of Panamint Valley in Death Valley National Park of California, captures all five. 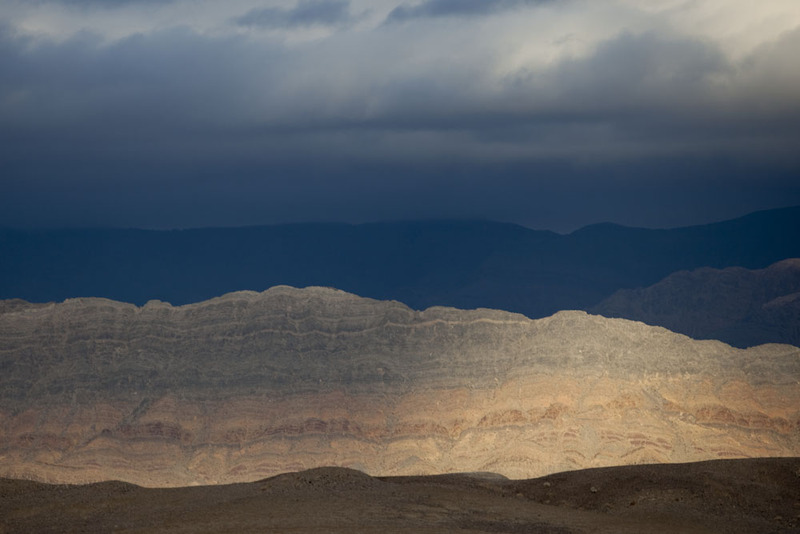 View of canyon wall on west side of Panamint Valley in SE California –part of Death Valley National Park. See photo below for interpretation. The photograph below shows an interpretation. Paleozoic rock is folded because of the Late Paleozoic-early Mesozoic compressional mountain-building; it’s intruded by Jurassic age granitic rock, an early phase of Sierran magmatism that took place just to the west; the granitic rock is overlain by Late Cenozoic basalt flows, and everything is cut by a normal (extensional) fault. And there is also a dike that cuts the Paleozoic rock –probably a feeder for the basalt flows. So this is all nerdy geology cross-cutting relations talk –but here’s the point: in this one place, you can see evidence for 100s of millions of years of Earth History. Earth is old old old! THAT’S why I love geology! And for those of you who crave geologic contacts? 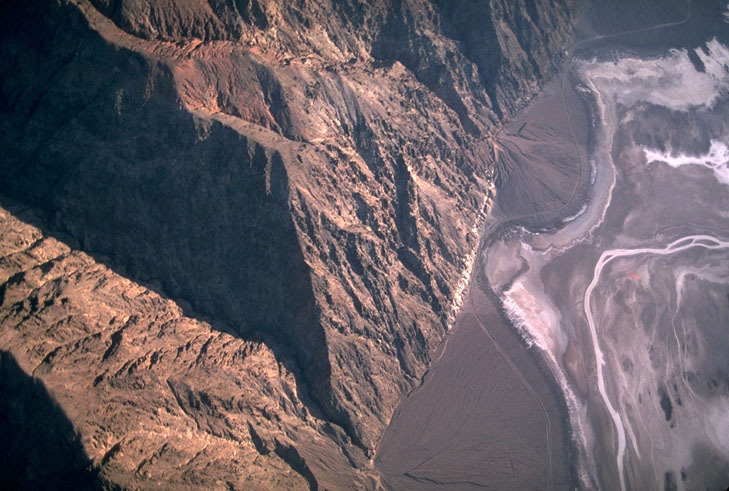 This photo has all three: depositional, between the basalt and underlying rock; intrusive, between the Mesozoic granite and the folded Paleozoic rock; fault, the steeply dipping black line between the basalt and the Paleozoic rock. Another reason why I love geology! 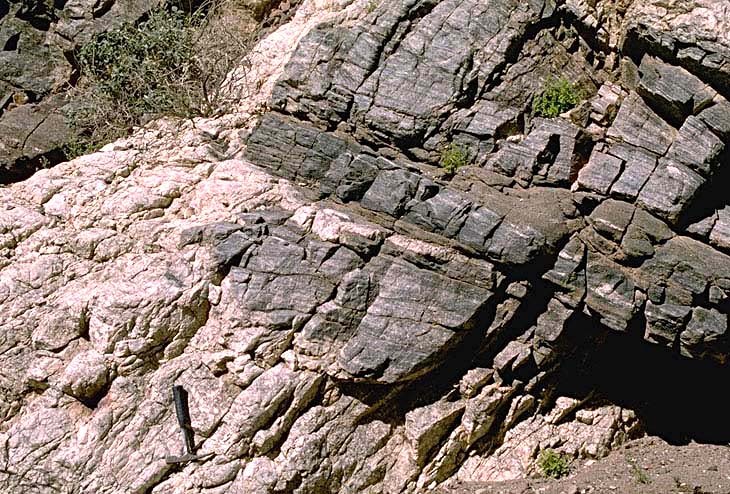 click here to see photos and explanations of geologic contacts. 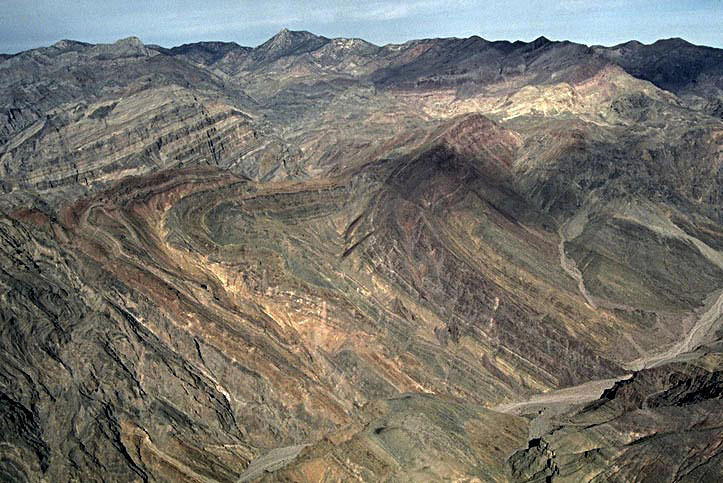 or click here for a slideshow of Death Valley geology. Cambrian Limestone, Death Valley National Park, California. Limestone’s a common sedimentary rock –it’s made from calcium carbonate. The calcium carbonate is precipitated in shallow marine conditions with the help of biological activity, most commonly algae, but also by the many invertebrates that form shells. This material then settles to the ocean bottom as a lime-rich mud and if the conditions are right, eventually becomes rock. Compared with many other sedimentary rocks, limestone deposits can accumulate pretty rapidly –about 1 meter per thousand years in many cases –and even two or three times that under optimal circumstances. These rates are for uncompacted sediment, and a great deal of compaction occurs as the sediment turns into rock. Additionally, if the deposit is to accumulate to any significant thickness, the crust on which it is deposited must also subside. 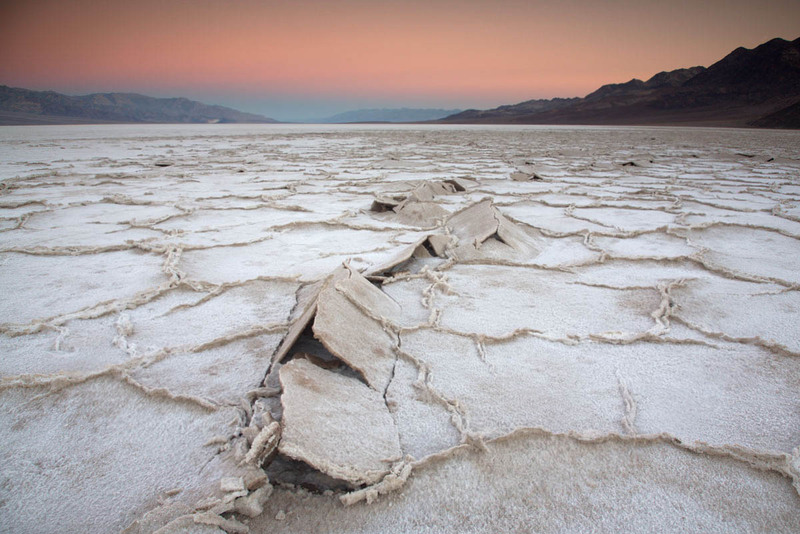 So all this limestone in Death Valley was deposited as a bunch of horizontal layers in a shallow marine setting –not too deep, or light wouldn’t penetrate to the seafloor to allow photosynthesis –key to the ecosystem that produced the calcium carbonate in the first place. And since it was deposited, it’s been uplifted and tilted and eroded.